Picky Eating in young kids has an actual medical term. It’s called neophobia, and scientists think it was an evolutionary necessity. Animals and small children needed to be cautious before trying new foods, such as berries, in the event something was poisonous. 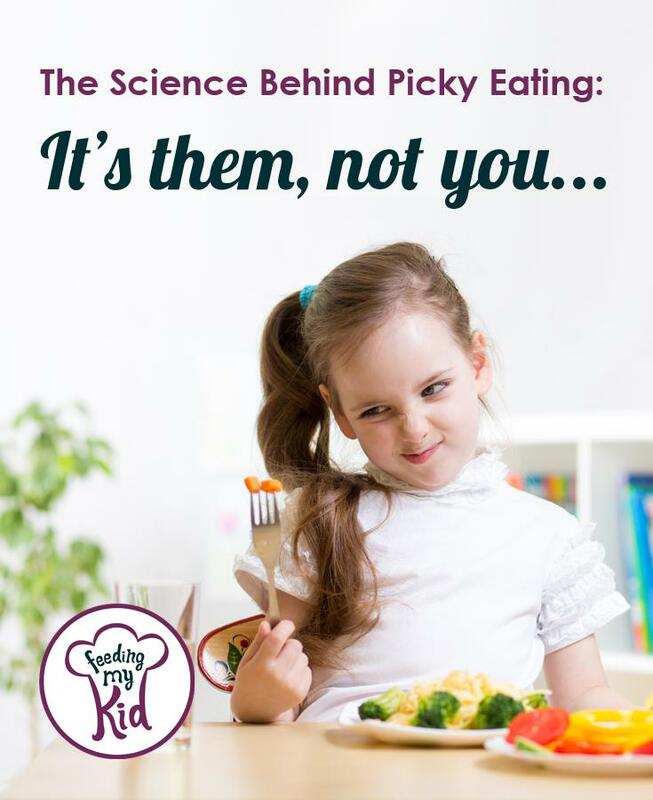 There is a reason that some children are pickier eaters than others, but unfortunately this fact doesn’t change how frustrating mealtimes can be. I am sad to say that neophobia peaks between the ages of 2 – 6 years old. That’s a long time to be frustrated during mealtimes. Feeding My Kid is dedicated to providing strategies to get your little ones to eat, and eat well. Even though some kids are more predisposed to picky eating, it does not mean you need to have a picky eater. There are actually things you can do to make them better eaters and make mealtimes less stressful! For 15-20% of the population, picky eating can be because of a mix of: medical, sensory, motor and/or temperaments in children. For these children, they may need professional help to overcome their challenges and become better eaters. If you are concerned, please reach out to your Pediatrician. If these do not apply to you then let’s work together to create adventurous eaters in your children. After reading the article, check out our forums and community to ask your questions, share advice and commiserate on how hard this can be. 50% of mothers of 18-24 month olds described their kids as picky eaters by their mothers, according to Carruth BR study with the Nutrition Department, University of Tennessee, Knoxville, TN. There are studies that show pickiness can be a gene a child inherits. But, it doesn’t mean there is no hope. There are actual things you can start doing tonight. Know this journey to change your child’s eating habits will be hard, but it is absolutely worth the effort! You are helping your child create a healthy relationship with food which will last their entire lives. How Do You Know If Your Child Needs Medical Intervention? The most obvious is if your child falls off the weight curve and/or is lethargic. However, some kids might be increasing in weight and are on the growth chart, but are not getting enough nutrients for cognitive development. If you are at all concerned, please schedule an appointment with your Pediatrician. Always remember, you know your child best. How do you know if your child needs an occupational therapist? 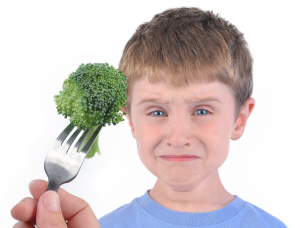 Some kids may have sensory issues that are holding them back from being successful at eating. Others may have physiological issues preventing them from eating. For others children, it can hurt to eat, or the child might be afraid that it can hurt. These children are not being rebellious by not eating and may need a feeding specialist to help them overcome these challenges. Feeding struggles affect up to 45% of typically developing children (Linscheid et all, 1995) and up to 80% of developmentally disabled children, (Manikam & Perman, 2000). How to Change a Picky Eater Into An Adventurous Eater? As mentioned above, picky eating peaks between 2-6 years so it’s important not to take the easy road early on as it can snowball into a huge problem later. For example, if you notice your child only eats a few things, don’t just give your child what he or she prefers to get calories in them. This one is so hard! Know that there are proven techniques to get your child to eat the food you want them to eat. 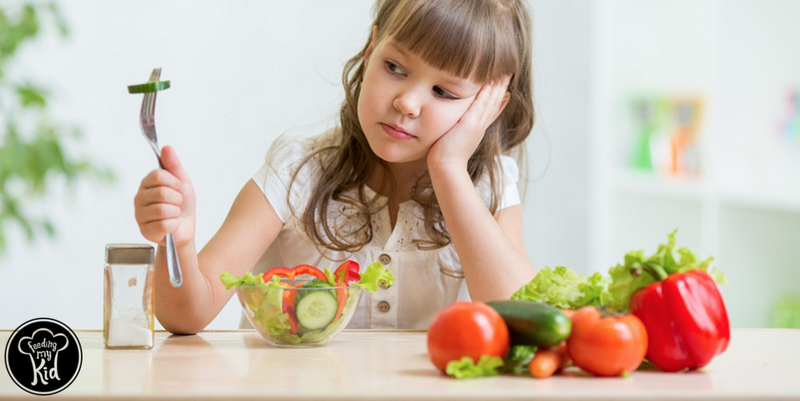 Excess Empty Calories – your kid is eating too many snack type foods and not enough wholesome table food. Grazers – your kid snacks all day, but won’t sit down for a proper meal. Fat-free eater – you are inadvertently cooking fat-free or reduced fat meals for the family and your child is eating the meal too. They need lots of healthy, full-fats in their diet! Excess milk or juice drinkers – studies show that kids who drink milk or juice all day long take in 50% less calories than kids who eat wholesome table food and drink milk after their meals. Join FeedingMyKid.com community and forums. Our community supplies a wealth of advice, techniques, and tips from parents just like you, who have been through it. 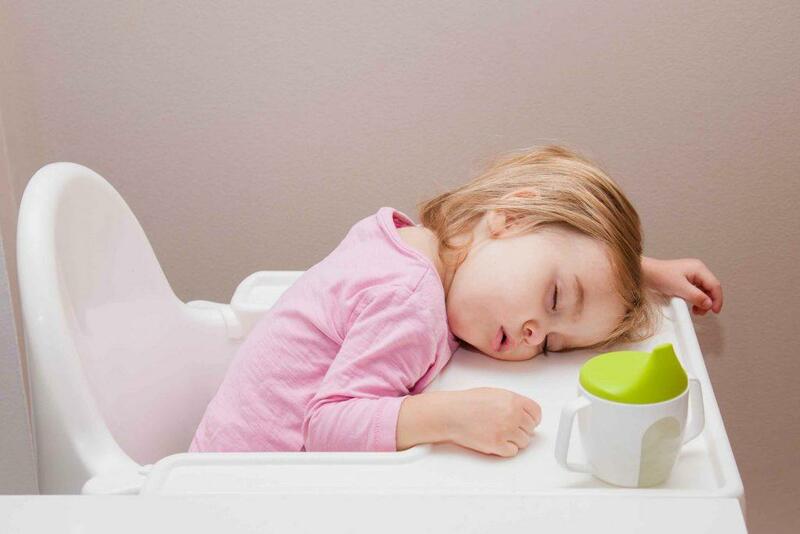 Your high chair can impact your child’s eating. Sit your child at a high chair that supports their feet, and you can adjust it so their knees and elbows are forming proper 90 degree angles. Watch this video to find out why. Model the behavior you want. Model eating by sitting with them during mealtimes and eating the same meal they are eating. Sit at a dining room or kitchen table. This helps to foster a sense of mealtime and togetherness. Kids love to be a part of things, let dinner be a main attraction. Do not be a short order cook. You can provide a few different options for your child or children, but do NOT cook meals on demand. It might be tough at first, but in the long run it will work! Provide a safe food. Make sure you provide at least one thing you know your child will eat at every meal, especially when you pair it with a new food. This takes the pressure off having to eat the new food. Turn off any distractions including TV, your phone, etc. Try to make home-cooked meals that are flavorful. Kids love flavor! Don’t make mealtime a power struggle. 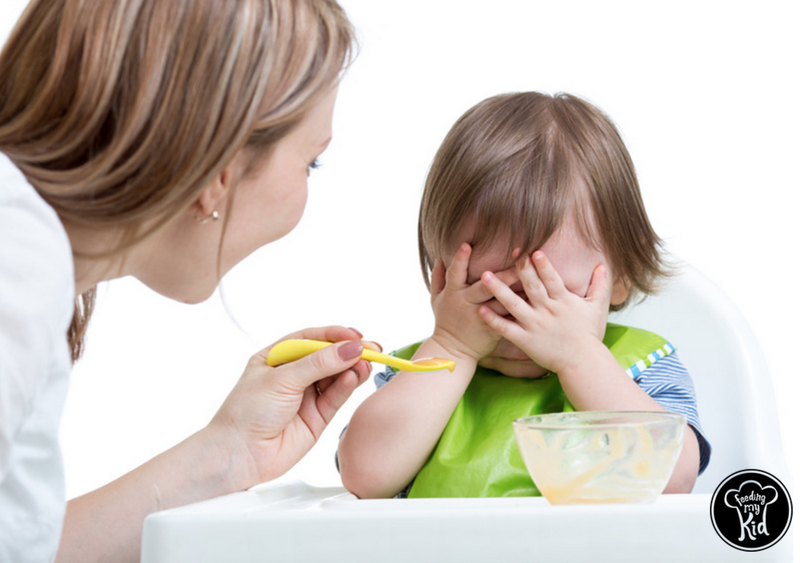 Serve the food and don’t react if your child does not eat the food. Also, it is important not over-celebrate when he or she eats something. By celebrating one food, it can send the wrong message about the other food. Crazy, I know. Don’t use sweets as a bribe to get them to eat one more green bean. This can foster an unhealthy relationship with food later in life. 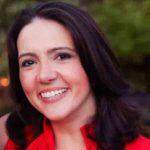 Check out the article, How to avoid the dessert deal and negotiating at the table. Keep offering the food 10, 20, even 30 times. Yes, it takes that many times for your tot to accept the new food and possibly like it. So keep offering it and change up how you are preparing it. Trust me, I know how frustrating this piece of advice is. Try not to show your own pickiness or dislike for a food in front of your child. Children model our behavior whether it is good or bad. If you hate tomatoes, there is a good chance your tot will hate tomatoes too. Do your best to be neutral about food. Make mealtimes a fun and social time for the family. Keep all frustrations and bad moods away from the table. No bickering or power struggles. Some experts say you can create a point system for trying new foods. Other books say to stay completely neutral with food. Here is one author’s idea: Take the pressure off the table and make eating a game. You can get x amount of points if you try this new food, but don’t use food or money as a reward. The points can count for a special day trip with the family. This only works if it breeds fun competition between the kids. This is Jennifer Tyler Lee idea and she is the author of The 52 New Foods Challenge and Crunch a Color. Share your ideas in our forum on how you make mealtime fun! Join the community and the conversation!